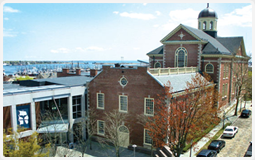 New Bedford real estate lawyer Brian M. Glover represents local and national lenders in purchase, refinance, reverse mortgage, and equity loan transactions. He is experienced in title examinations, clearing title defects, closing mortgage loan transactions, recording mortgages, and issuing title insurance policies. He has been efficiently and professionally protecting lender’s financial and legal interests since 1996. He is an agent for Connecticut Attorney Title Insurance Company. Brian M. Glover PC, Attorney at Law, serves clients in Bristol County and all of Massachusetts including: Fall River, Taunton, Wareham, Seekonk, Somerset, Rehoboth, Berkley, Freetown, Middleboro, Acushnet, Westport, Fairhaven, Dartmouth, Mattapoisett, Marion, Rochester, Plymouth, Boston, Sharon, Norwood, Canton, Easton, Dedham, Stoughton, Brockton, Quincy, Weymouth, Needham, Newton, Westwood, Brookline, Medfield, Braintree, Carver, Hanover, Hanson, Duxbury, Worcester, Falmouth, Hyannis, Cape Cod, Plymouth County, Norfolk County, Suffolk County, and Worcester County. © 2013 - 2019 Brian M. Glover PC. All rights reserved.